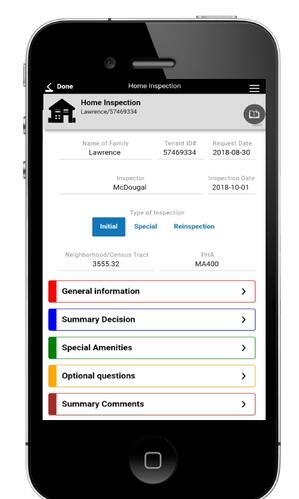 This free building inspection app makes home inspections a snap, enabling home inspectors to rapidly capture critical building inspection data on any smartphone. 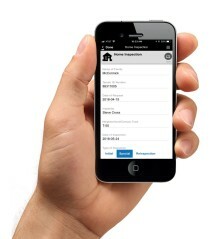 The app is optimized for one-handed data capture, with customized inspection checklists, custom data-entry options and built-in building inspection reports. Speed data capture with one-tap pass/fail buttons. Reduce time typing with the use of custom keyboards built for the data type. Capture critical inspection insights quickly and accurately using speech-to-text notes. Accelerate inspection resolution by initiating alerts and triggering workflows from the app. Document on-site inspection issues and capture images with notes. Capture building images and building plans, then mark-up issues or incontinences. Mark up plans with notes, photos, and videos. Run PDF building inspection reports with detailed project and building inspection details. Get access to the Building Inspection App with a free trial of Alpha TransForm. A mobile app isn't really mobile if it doesn't work offline, and a majority of work in the construction industry is done in areas without cell service or WiFi. Alpha Software customers have built construction inspection apps work on construction sites in major cities, at rural sites, and in the head office. We're helping construction companies like yours mobilize everyday inspections and other business processes, by quickly build apps that access and capture the critical data you need, when and where you need it, on the device of your choosing. Alpha Software construction apps collect more data faster and with more accuracy, drive business workflows and work at new work sites without a connection.